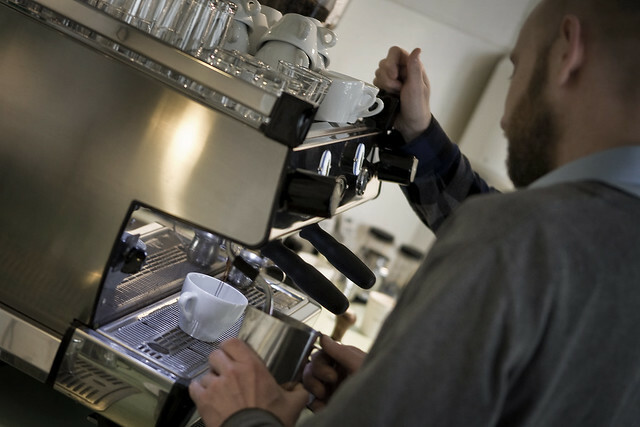 The Coffee Collective Blog: Want to come work for us? We are looking to hire more baristas for both our shops. The job primarily consists of brewing, serving and presenting delicious coffee, but there is also packaging and cleaning duties involved. You don't necessarily need a background as a barista, but a keen interest in learning and tasting coffee is essential. We provide a full training course and many opportunities to learn and explore what coffee can be. In return we're looking for people who are committed to quality, dependable and enjoy to work efficiently. Please make sure to write if you are interested in full time or part time work.